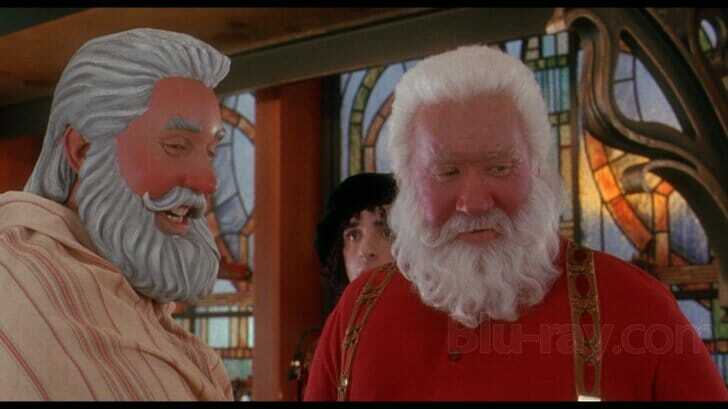 When Disney first created The Santa Clause back in 1994 they found an original new spin for this tale when ordinary Scott Calvin, a toymaker in his own right, suddenly ended up becoming Santa after an unfortunate accident on the roof of his home. Casting Tim Allen, who was extremely hot with his ABC series Home Improvement, was the perfect choice to play the initially reluctant Santa. Now they have him here as the jolly Kris Kringle who is more than reluctant to give up this new chapter in his life. However, in an attempt to prevent this from becoming just a one-note story, the creators of this movie decided to throw in this family dilemma where his son Charlie (Eric Lloyd) has become something of a vandal on school grounds. Now Scott has to juggle two issues; figure out what is wrong with his son and then find a wife by the end of Christmas Eve. The issue of what time zone the precise North Pole sits in and how that affects Scott is another matter completely, but for the sake of this review we’ll just move on. Sequels are a tricky thing, especially when the first movie hits with a winning formula. How does a studio manage to capture that genie in a bottle a second time? With this movie they just went a little bit further with some of the sentimentality, but never to the point where it became, at least for me, too sugar coated. This movie reminds us to feel the magic that we experienced when we were children, and it does so in a way that adults can look at it and feel completely enchanted just with the scenery. It can also remind us that we’re never too old to have fun. In the words of Walt Disney (when it came to visitors to his famously named park), “Everyone is a kid at Disneyland.” By the same token, everyone is a kid when it comes to Christmas and a Disney movie. It is beautifully executed in a scene where a party for the high school faculty, boring and dull beyond description, comes to life when Scott uses what little magic he has left (which brings the lovely message about the wonders of giving) and delivers specially tailored presents to these adults who had forgotten to be kids and have fun. For me personally it’s my favorite scene in the entire movie. It not only brings a tear to my eye because of its message, but it’s also a marvelous message about always believing in magic, and to always strive to have some pure, childlike fun. 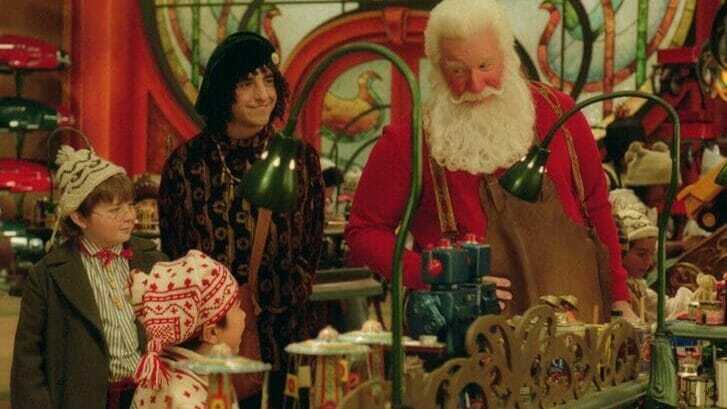 The rest of this movie deals with a mechanical imposter Santa while Scott is trying to fix his own personal problems, but that part is just there to help pad out the movie. It’s not bad, although it is a tad silly. There is also some wonderful interaction fun between some of the humans, namely Scott, and the reindeer. If there is another message to be had here is never feed a reindeer too much candy. The results can be rather explosive, and yet terribly funny. 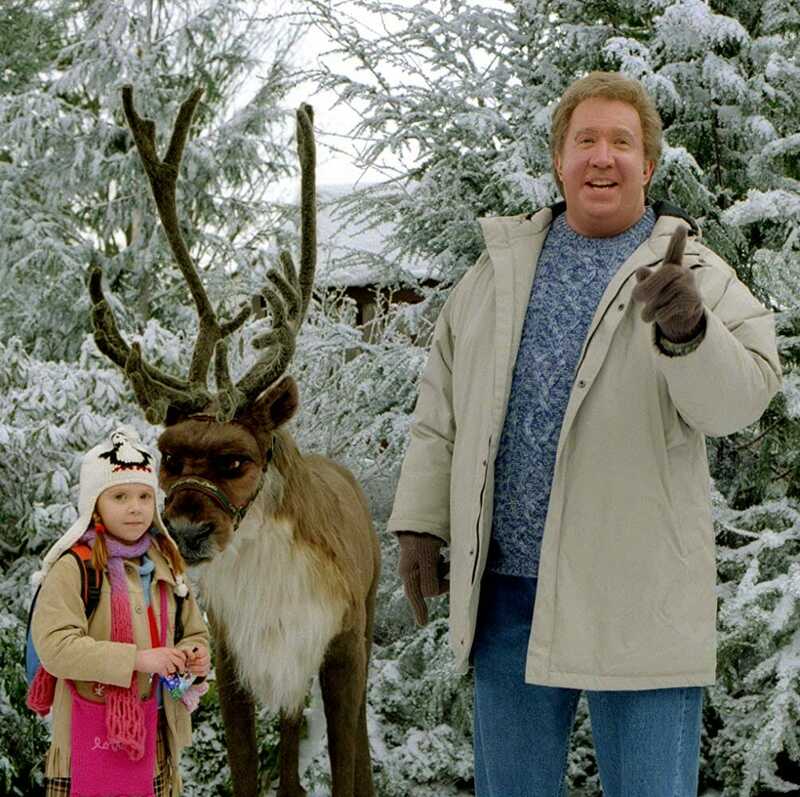 There are other bits and gags here that call back to Tim Allen’s physical comedy from Home Improvement, but it is those moments when he’s Santa that the movie sparkles. He acts with a conviction at one point that you can almost believe that he believes he’s Santa. Perhaps that’s the true message of this movie. 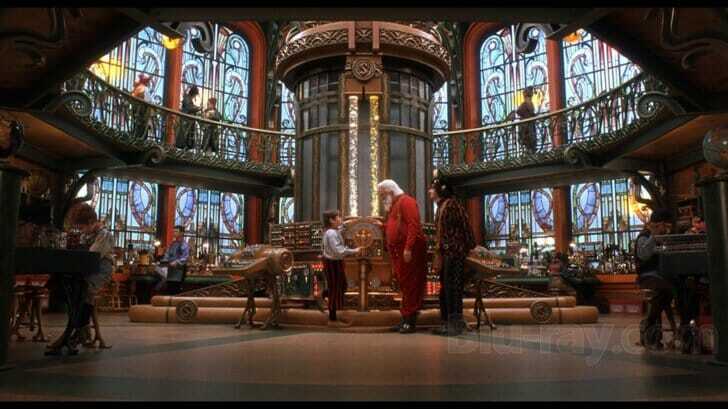 The Santa Clause 2 teaches us that we can all experience, and even share, in that wonderful Christmas childlike magic every year.